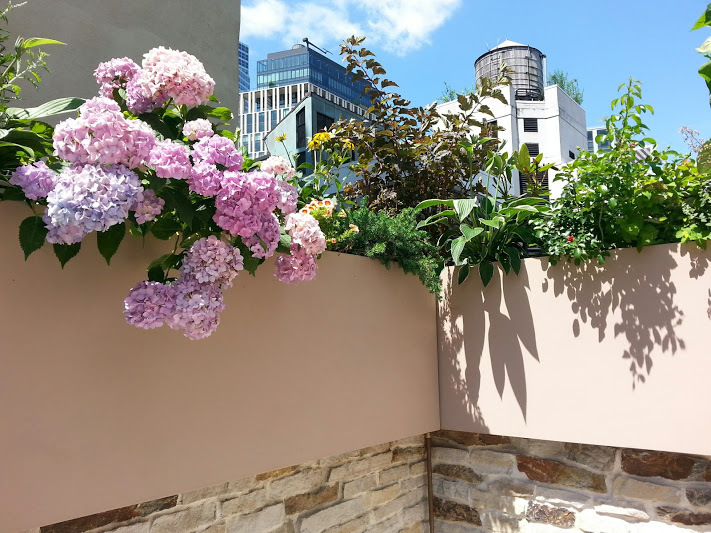 Due to the nature of roofs, a roof garden is built on cement or other rigid basis, which offers an extremely narrow root zone or substrate layer. In some cases the substrate layer is no more than 20 cm high, limiting the availability of resources, such as nutrients, while complicating the plant growing process. These unique growing conditions require a solution that is extremely precise and resource efficient. 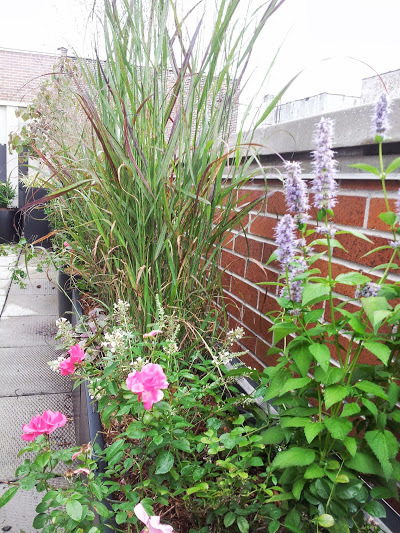 Netafim’s Drip Irrigation Solutions for Roof Gardens. Netafim’s drip irrigation solution for roof gardens is invisible, as it is installed in the subsurface of the substrate layer. The solution offers a precise combination of nutrients and water that are delivered directly to the plant’s roots zone, effectively “teaspoon feeding” plants. This uniform distribution of water and nutrients maximizes the plant’s intake of nutrients while enabling the plant to small and effective root lump. Thin root layer – Netafim’s drip irrigation solution delivers water and nutrients directly to the plant’s roots zone in a precise and efficient manner, this method compensates for the lack of natural nutrient resources. High winds – Roof tops are generally more windy, so using overhead irrigation such as sprayers and rotors will not only waste most of the water, it may also spray water on walls and other undesired places. Netafim’s solution is buried underground, making it completely resistant to high winds. 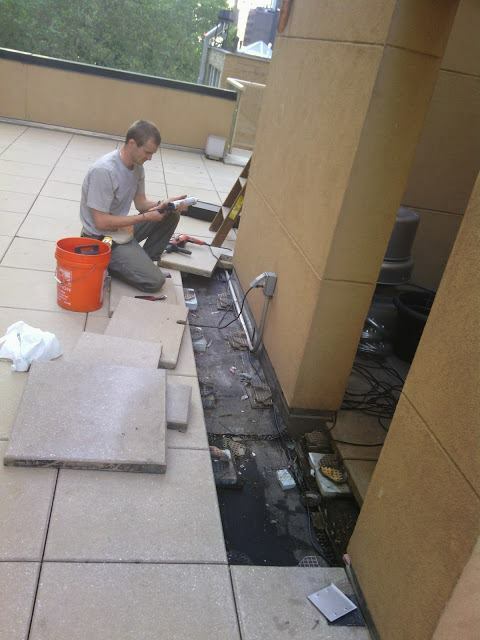 Low pressure – Water pressure at the top of apartment buildings is rarely ideal for irrigation systems. They are either to high or too low. Netafim’s irrigation solutions are both low pressure and low flow systems. This means that they can operate in low pressure conditions, which Netafim’s pressure regulators bring the operating pressure in high pressure conditions into an acceptable range. Weight load – Netafim’s solution enables many short drip irrigation cycles with calculated intervals that help prevent overweight caused by excess water on the roof. Self cleaning and root prevention – Netafim’s drip irrigation solutions were designed to operate in the toughest environments (even below the ground) without requiring any maintenance or intervention. A combination of unique technologies ensures that the dripper withstands dirt clogging and intrusion of roots. 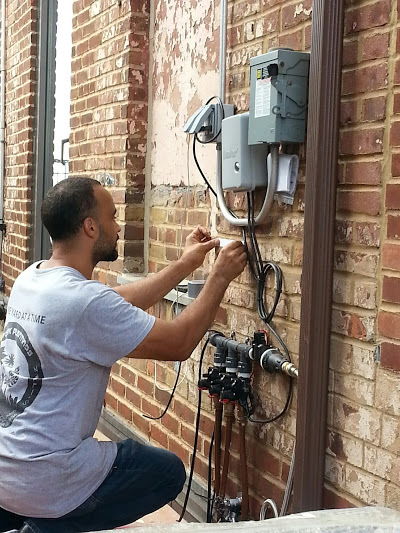 New York Plantings Irrigation and Landscape Lighting NYC offers An irrigation service contract or drip irrigation service agreement in which provided Winterizing services as well as the Spring irrigation startup are provided. Other premium service agreements include additional visits to adjust the drip irrigation system and monitor the performance and efficiency of the system throughout the growing season. Proper garden and landscape irrigation system design and maintenance is one of the best ways to ensure a happy, healthy landscape and to prevent costly repairs. 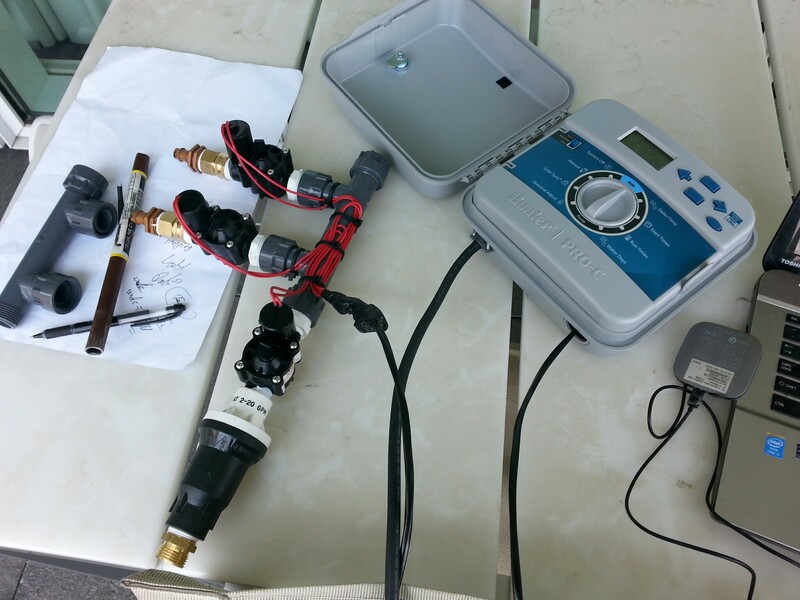 It is very important to perform a Fall Winterizing irrigation system service NYC. Most property owners that have finished landscapes in the Manhattan, NYC area know that each year in fall it is time to schedule the irrigation system shutdown or irrigation system winterizing, generally, with drip irrigation systems in urban gardens or landscapes we try to shut down drip irrigation systems as late in the fall as possible. We generally want to keep the plantings in planter boxes, pots or containers moist as long as possible to help them survive the winter while the irrigation system is shut down.With evergreen trees and shrubs it may be necessary and beneficial to hand water lightly during warm dry winters. It helps to know the type of irrigation system you have when scheduling your irrigation company NY or lawn sprinkler company NY to perform landscape irrigation winterizing services. New York Plantings specializes in drip irrigation systems but has the experience to perform services on both drip irrigation systems and lawn sprinkler systems. Many NY irrigation companies specialize in Lawn sprinklers and perform less drip irrigation system installations. When choosing your irrigation system service company for a yearly irrigation service agreement or lawn sprinkler system service agreement it may pay off to ask the company’s specialty in either lawn sprinklers or drip irrigation by hiring a specialist in your particular type of system. Drip irrigation systems have many benefits and are far more efficient than traditional lawn sprinklers or spray type irrigation systems and also happen to be simpler to winterize drip irrigation systems than lawn sprinklers. If you are not sure what type of garden irrigation system you have, there are some general guidelines although exceptions. 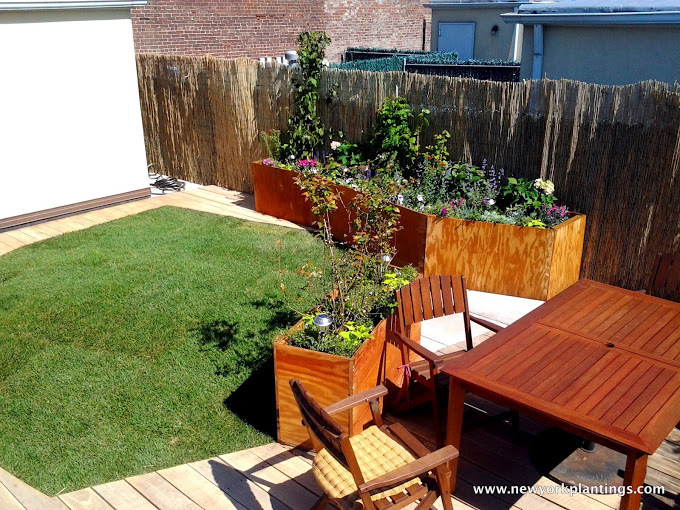 Watering systems for terrace plantings, rooftop garden, green roof irrigation and penthouse garden irrigation systems, even the majority of townhouse landscapes and brownstone rear yards are using drip irrigation along with many small NYC parks and courtyards. Then, just about any application with grass, sod or lawn s typically utilizes lawn sprinklers or traditional spray type irrigation systems to water the grass or lawn. 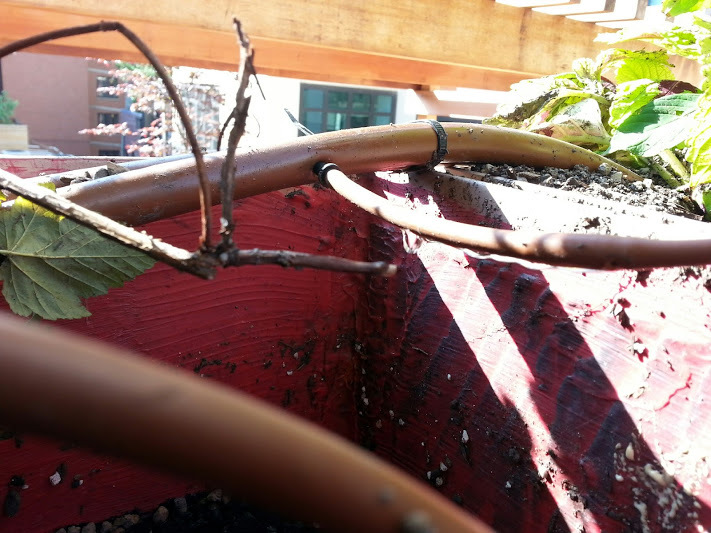 Almost any trees in planter boxes or pots on roof gardens or penthouse gardens use drip irrigation. Lawn Sprinklers require winterizing as well. The lawn sprinkler blowout. Again, traditional lawn sprinklers require that the water be removed from the irrigation manifold and valves as is the case with typical drip irrigation systems as well as nearly all or all the water be removed from the entire system. An effective way and what is industry standard is to use compressed air to “blow out” the water in the irrigation system and sprinkler heads. Lawn sprinklers are more sensitive to winter damage due to freezing water in almost any part of the system, but as with everything expect with lawn sprinklers vs drip irrigation there is more work to be performed in making the landscape watering system or lawn sprinklers ready for Winter or cold weather. This is where the term ” lawn sprinkler blow outs” comes from. The lawn sprinkler service company simply connects compressed air to your lawn sprinklers and blows out the water until a fine mist or even no more water comes out from the sprinkler heads, only air…telling the technician that there is no more water in the system, thus protecting your landscape irrigation from freezing water or ice damage. If you think about it, that is why a car engine has antifreeze: because if the water in the engine would happen to freeze, even the strong cast iron engine blocks split or crack right open from the massive forces generated by the expansion of ice. Your drip irrigation system valves, filters, other components and controls do not stand a chance to survive the winter if not properly serviced before the first freeze. 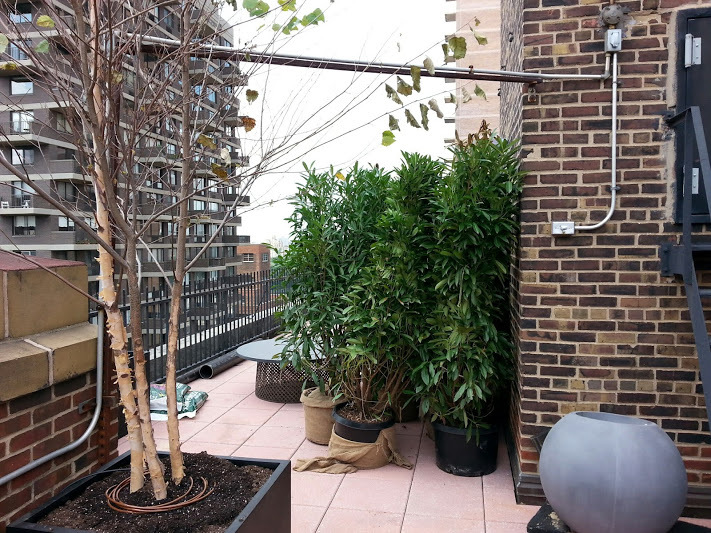 #dripirrigationwinterizingNYC #dripirrigationcompanynyc #rooftopgardenservicesnyc Proper garden and landscape irrigation system design and maintenance is one of the best ways to ensure a happy, healthy landscape and to prevent costly repairs.